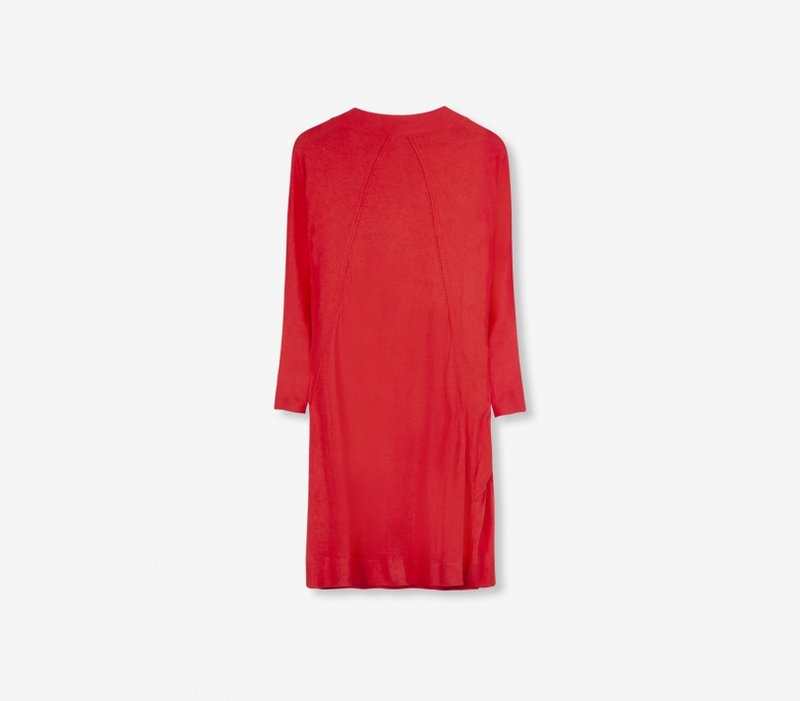 Oversized comfortable pullover in longer length with raglan sleeves, suitable to wear on a pant as a pullover or on top off a legging as a tunic. Knitted from a fine viscose yarn. Oversized fitted pullover in length well over the hips. With deep V-neck and raglan long sleeves.